At The Killino Firm we know highway safety. We have prompted recalls through the National Highway Traffic Safety Administration (NHTSA); for instance, the national recall of 450,000 Chinese-made tires. The Killino Firm’s highly trained and experienced legal team have a proven track record of success in handling automobile injuries on both the individual and national level. If you or a family member has been injured in an auto accident, contact the experienced attorneys at The Killino Firm today. The Killino Firm gained national recognition for its personal injury and death lawsuit that prompted a NHTSA recall of 450,000 faulty Chinese-made tires. At The Killino Firm we believe that companies such as auto parts manufacturers have a responsibility to American consumers and should be held accountable for making and selling defective products. Our attorneys are experts at digging deep and fighting foreign manufacturers and other companies and individuals that want to save a few pennies but in the process put American’s safety at risk. From CNN to ABC and around the world, we make the news because we are dedicated to ensuring our automobiles are safe and secure. Our efforts prompted the Chinese tire recall, which may have prevented countless catastrophic injuries and deaths on our highways. 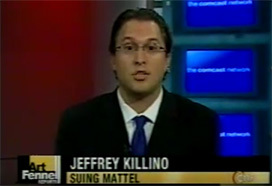 Please view The Killino Firm in the media. At The Killino Firm, we treat each and every case with the same intensity and commitment as we have the Chinese tire recall. That’s The Killino Firm Difference. When something goes wrong, the lawyers and staff of The Killino Firm are prepared to investigate every aspect of an automobile accident in order to discover not only what happened, but why. Auto-accident injuries vary dramatically from minor strains and sprains (often called whiplash injuries) to neck and back injuries, to broken bones, to brain injuries, to paralysis and death. At The Killino Firm, we recognize that these injuries often change our clients’ lives forever. As a result, we provide personalized and caring representation, while zealously fighting for our clients at every stage of their cases, including trial, if necessary. Victims of auto, truck and bus crashes hire The Killino Firm, because they know we will thoroughly investigate every automobile injury and that our clients will receive all of the compensation they are entitled to. 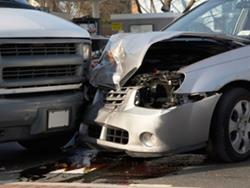 We employ a team of attorneys, paralegals and investigators knowledgeable about car accidents. We also understand that our clients have suffered serious, at times catastrophic, injuries, and need a law office that will deal with the insurance companies and guide the clients and their families through the maze of medical care and treatment that they face. More than six million car accidents occur every year in the United States, with over two million people suffering permanent injuries. More than 40,000 car accident-related deaths happen every year, with automobile crashes being the number one cause of death for people under 30 years old. In 2004, NHTSA estimated that over 16,000 people were killed in alcohol-related crashes alone. When you need a lawyer who will exhaustively investigate your automobile accident and injury and make sure that every responsible party is held accountable, contact The Killino Firm, where Keeping America Safe is our primary goal. To speak with one of our attorneys, call us toll free at 877-875-2927, or send an email to an auto injury lawyer today. We will respond promptly to your inquiry so that you can experience The Killino Firm Difference.